Grafton District Golf Club in NSW allows our full, intermediate and junior golf club members to play the Grafton golf course on an arranged basis. In return our Golf Resort club gives Grafton District Golf Club members a 50% discount on golf green fees and other accommodation benefits at the resort. Grafton District Golf Club in NSW is 1307km north east of Murray Downs and 617km north of Sydney. 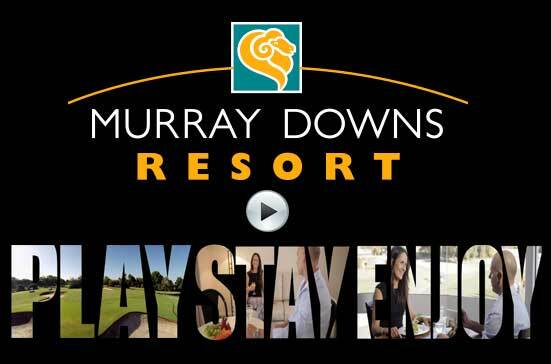 The Murray Downs play & stay accommodation precinct at the Golf Resort is genuine on-course. Visiting members of Grafton District Golf Club in New South Wales can stay, play and be entertained. Wine, dine and relax at the country club overlooking the golf course, before finishing the perfect day with a swim or a spa over at the resort. Reciprocal clubs - Grafton District Golf Club.